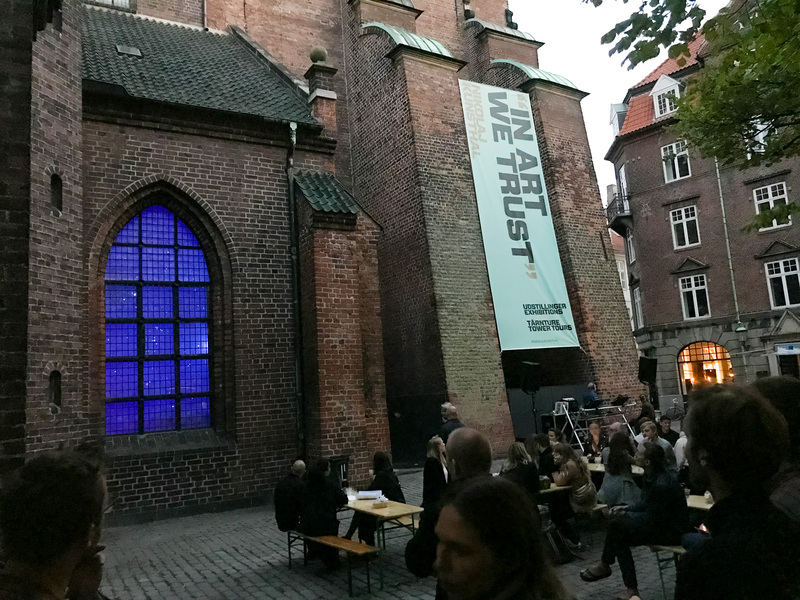 To develop and create a light installation in the public and historical area around Nikolaj Kunsthal to attract people and create awareness of Nikolaj Kunsthal, while at the same time creating a safe and appealing outdoor area for the everyday users. Collaboration between Nikolaj Kunsthal, lighting designer Arthur van der Zaag and AAU. We chose to include our lighting designer from an early stage, so he was able to be a part of the process and could – along with Nikolaj Kunsthal – provide feedback to the students from AAU. The semester project groups will present their concept ideas June 1st, and Nikolaj Kunsthal, together with Arthur van der Zaag, will then finalise and implement the installation. The light installation premiered on August 29. Aalborg University – After an introduction and presentation of the vision, restrictions and possibilities by Nikolaj Kunsthal, AAU conducted Lighting Design analyses of the public area, light conditions and user behaviour, and proceeded to create 6 different possible design concepts. The final concept decision, design development and solution will be made in dialogue between Nikolaj Kunsthal and lighting designer Arthur van der Zaag. He will finalise the concept and construct the installation (incl. software and hardware) in collaboration with Nikolaj Kunsthal and possibly students from Aalborg University. Nikolaj Kunsthal, Nikolaj Plads 10. Possible to visit at any time from august 29. No restrictions.